Wow...I haven't updated on Emily's blog in so long since I tend to update Facebook, so I apologize. Although Emily remains in treatment, we went 5.5 months this go round with no scans. Emily was able to enjoy her birthday, end of school year in 2nd grade and enjoy the summer with camping and lots of pool time. It was nice for her because she didn't have to worry about the hospital except for monthly with physicals and labs at our home hospital. 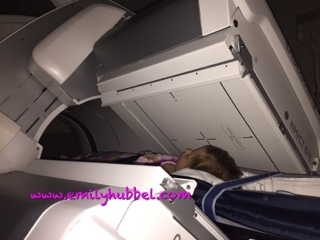 So when we received the email from our nurse, Julie, in Michigan that it was time to schedule scans, the anxiety began. 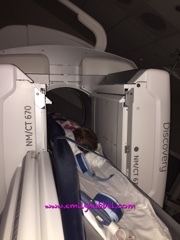 We really worried with lots of anxiety and fear of what these scans would bring. So many of our friends that we have met, and those we haven't were dealing with relapsed neuroblastoma or losing their battle to cancer. So we really had a lot of fear. Sunday, August 23rd, we were scheduled to leave. We did get to leave but things obviously didn't go as we had expected it to go. We left around 1130am with the camper in tow to stay at the KOA in Allendale, MI. Our truck had decided that it had other ideas. We made it to Northern VA and the truck decided to overheat. Not exactly what we needed when we have a 1500 miles round trip. We tried a few things to see if it would get the truck to cool down but it didn't happen. We decided we needed to be safe rather than sorry and to make it in time to MI and not worry about sitting on the side of the road with family and worry about getting hit by oncoming traffic, to take the truck and camper home. We redlined it a few times the way back home, but as long as we were moving the truck didn't overheat. We made it back home at 430pm, while dad ran to get AC stuff to put in the van, I unpacked the camper to pack the van. We did that in record time and were back on the road within an hour. We made it to our friend Sue and Jojo's house by 130 am to sleep, get up, eat breakfast and head the rest of the way to Michigan. Obviously we had to find a place to stay last minute, and stayed at Country Inn and last minute costs more, but we made it there Monday evening by 8pm. Anxiety and fear was awful, not only for us but also Emily. She did not want to come to Michigan and asked several times before leaving if we had to go. Emily too had a lot of anxiety this time. 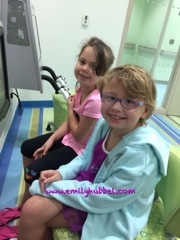 Tuesday we got to see Julie, Emily's nurse, who accessed her with no problem... Did I tell you guys that Emily normally sits in our lap and holds our hands while she is getting accessed. She still sits in our lap but no longer holds our hands. Man she is getting so big, it's crazy. Dad and I are so proud of her and all that she continues to accomplish. She had her labs done, and MIBG injection done all with no problems. Her labs looked good with her LDH normal which is obviously we want. She had her hearing test done and thankfully hearing test remains stable. Just the high frequency hearing loss that we have had. So far she has done well in school without needing additional help with the high frequency loss, but we will keep a watch. Emily's urine results also remained normal, which was another positive and we just hoped that scans on Wednesday stayed that way. 2. The activity in the head appears relatively stable. 3. No new areas of abnormal increased uptake. We have never heard appreciable decrease, so hearing those words were freaking awesome. No new disease is even better. And no areas showed more uptake which in the last few scans we had some areas showing increase In uptake. We will take take this and are very happy with this. Dad and I asked if we could move to 6 months scans and come early should there be anything we are worried about. Dr Sholler agreed with this and said we didn't have to come back until February 2016! Also since we are on the compassionate trial of DFMO Dr Sholler can make these calls, and do that. She felt that Emily on the chemo agent DFMO she is doing well. She also said that she felt like our situation is much like another child with neuroblastoma! That is such positive news! Emily will continue seeing Dr Gowda at our home hospital monthly to check counts, do urine levels and have a physical. So today we left the hotel and are heading back to Sue and Jojo's for the night. Tomorrow we will leave and do something fun for Emily! She deserves it, this scan was especially hard for her. Dad promised her when she was first diagnosed that we would take her to Sesame Place in Philly, so tomorrow he is making that promise come true and taking her!! 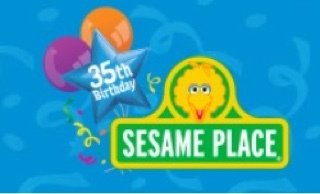 So if any of you know of any specials deals or anything going on at Sesame Place, please email and let us know, at shannon@emilyhubbel,com. Thank you for continue to keep up with Emily's Journey and reading and for continuing with all the love and thoughts.